Last June for part of my holidays I went to Malaysia and watched the Penang Junior Open. One of the things that amazed me at this event was that Wee Wern Low was there helping out for the entire event. Unlike most 3 day tournaments here in North America, the Penang Junior Open runs for the whole week! It was really cool to see a top professional player spend an entire week helping to run a local junior event with hundreds of kids. Almost a year later I had an idea that if Wee Wern Low was so generous with her time to help out for an entire week at the Penang tournament maybe she would be willing to be interviewed by me. When she agreed I was excited and surprised, but after reading her responses and getting to know her better I see why I shouldn't have been. As you'll find out she is very loyal to her coach and it's refreshing to see someone pave their own way to success. 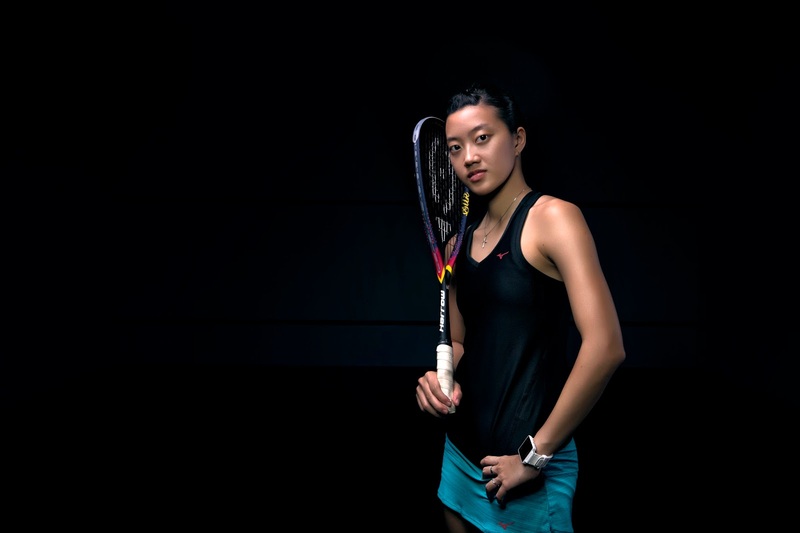 In the interview we talk about Penang, the rivalry between Malaysia and Egypt, young kids specializing in squash, college squash vs. professional squash, her new company and website plus her favourite drills and updates on the healthy of her knee. It's easy to root for a good hearted, humble person that has overcome obstacles and is chasing their dreams. If you need any further reasons for jumping on the WWL bandwagon this interview should do the trick. She is playing in the qualifications at the HKFC International next week and by the sounds of it she is almost back to 100%. We can expect to see her climb back up the rankings shortly! Enjoy the interview. Did you play any other sports as a kid? I played many sports as a kid and even in school. I actually represented my school in athletics, table tennis, badminton and even floorball. I was very active and I love sports. But squash was the only sport I took lessons. How old were you when you started playing and how did you get into squash? I started squash at the age of 8, as a hobby/weekend activity. As a kid, I was pretty active and didn’t like to sit still so my mum gave me an option of picking up squash or tennis, I picked squash and never looked back since… It was then that my parents were divorced and she encouraged me to get into sports. Do you think young kids should play multiple sports or be allowed to specialize in one sport such as squash? I strongly believe that kids should play a variety of sports. It will help them develop many skills set and keep their interest alive. With that in mind, they will be able to pick out which sport is best for them and grow from there. A question about the juniors coming up in Malaysia, do you believe their goals are mainly to follow in our footsteps and play professionally or get into an American university? I think we have a mix of both here in Malaysia. There are some who are very passionate about the sport and trying to make it in the professional world and there are some who wants to use squash as a ticket to the US, which is not a bad thing. More players are leaving to the US recently and that gives hope to players who aren’t exactly at the top a very good incentive to keep training and get to renowned university instead. How old were you when you decided you wanted to play professionally? I completed my O Levels education back in 2007. Prior to that, I was already receiving calls and emails from top universities in the US inquiring if I would like to represent the University on scholarship. Nevertheless it was a hard decision to pick squash over a degree… I decided to take the plunge after winning the British Junior Open Under 19 at the age of 18. No Malaysian has won the Under 19 title since Nicol back in the 90’s and no one has won since I did. The British is the most prestigious junior tournament in the World and winning that meant that I was among the top players in the World at my age. It was the same year that I won my third Asian Junior Title, again a feat no one has achieved except Nicol. What was your first international junior tournament, what did you learn and how did you do? I think it was the Australian Tri Series at that point in time and I think I managed to win a couple of those. But I took my first beating at the British Juniors Under 11, losing to a much stronger Egyptian and I was a scrawny 11 year old. I have a long history at the British, making the semis or finals without fail since 12 but I never quite manage to win it until I was 18! Do you have any tips for young girls dreaming of following in your footsteps? Surround yourself with a good team because they are the people that will be by your side throughout your career. A good team does not necessarily mean a well-known coach with track record or so on, a good team consists of people that are willing to spend countless hours with you, make sacrifices alongside you to help you achieve your goals…but NEVER forget your team when you have made it, they have earned it just as much! This may sound cliché, but nothing comes easy, hard work does pay off. What do you think of the PSA lowering the tin for the women's game? And has this changed how you practice and play in matches? I think it is quite interesting to see how everyone is dealing with it in their own way and how they change their approach to the game. Unfortunately I have not played much on it as I have been out injured but I look forward to playing more on the lower tin. You've had a tough setback with your knee injury. How are you feeling? And do you feel like you are ready to make a big push back up the rankings? It has been nothing short of a challenge… This is by far the worst injury I have sustained, my first and hopefully last surgery ever! Its been tough, not being able to do what I love doing. I was on a wheelchair for days, followed by learning to move about on crutches, walking on my own to running and finally stepping back on court. It’s been a long process to say the least! I am still not 100% pain free but I am getting there. I just can’t wait to be able to play my best again. The first half of 2016 was for me to test my knee and keep fixing it because there will be complications along the way. I will make my big push in the second half of 2016. When you play a match do you have a specific tactic for each opponent or do you focus on playing your game? I would say a mix of both. Of course I will try and implement my game as much as possible because that is what I am good at but there are always exceptions to the rule depending who I am up against. It's no secret that your goal is to be world #1. What quality do you posses that will allow you to achieve you goal? I am a very consistent player and I never give up. Since breaking into the Top 10, I have not lost my ranking up until my injury. As for not giving up, I have played matches to the point of cramping on court, was even hospitalized once for full body cramp because I refuse to give up. What is the strength of your game and what is your favourite shot? When I was in Penang last year for the Penang Junior Open it seemed like the Egyptians and Malaysians have a big rivalry at the junior level at the movement. Is this a new trend or was it like this when you were a kid? This has been going on for me personally since I was 11! There are so many Egyptians and they are all good! But I think the rivalry has grown over the years… The sport is so competitive and everyone wants to do well and the ones to beat are the Egyptians. Was it a difficult decision to stay in Penang to train for your professional career? And did you ever consider moving anywhere else? I was actually based overseas when I was 18 for a year. Again, it comes back to the team I mentioned earlier. Many, actually most didn’t believe I could make it to the top 10 in the World if I didn’t leave Penang to work with a ‘better’ coach and sparring partners. Aaron Soyza has coached me since I was 12, groomed me to winning almost every junior title but still no one was willing to give him a chance to take me to the top 10 in the World and I was asked to leave the country to find a better base, so I did for a year. I personally believe it is who you work with, not where you are that is vital. I came back and chose to work with Aaron again, at a very high risk that I may lose my funding for choosing to work with a local unknown coach. It was a risk we both took, and we both worked very hard to show everyone that it is possible, all we needed was a chance to do it. 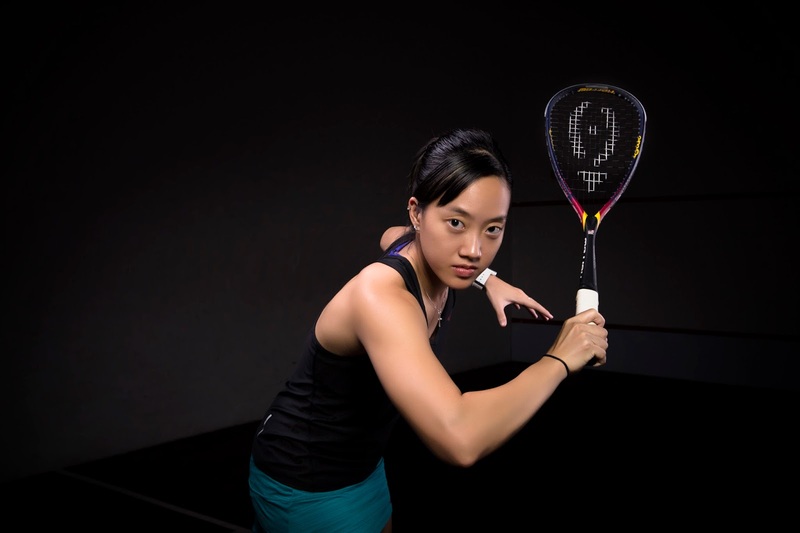 What is the funding like in Malaysia for professional squash players? We are fortunate to have our government providing us with funding to compete overseas, taking care of our flights/hotels/food etc. It was Beng Hee, Nicol and Azlan who paved the way for the younger generation as they were the ones who excelled in the sport and made it one of the core sports in Malaysia. I have missed out on so much, I don’t really know where to start to be honest. Match fitness is key and that comes with playing tournaments, my reaction time, all the reflexes and split second decisions, reading the game… I have not used all those for a year now! It takes a bit more time but it is all coming back to me. I train with Aaron Soyza every morning and in the evenings I will do drills, condition stuff with the other state and national players in Penang. We have a good group of juniors who train daily and we also have foreigners who is based here in Penang every now and then. Again, I am very fortunate to have Aaron working with me since I was 12…he goes to the gym with me, runs with me even up to today. What is your favourite drill or condition game? I like open drills and condition games because it is more match related rather than knowing exactly where the ball is going every time. For feeding with my coach, we tend to do straight drive or volley, and he can boast or cross at anytime and I have to be ready. Condition games, second bounce behind the line but anything on the volley option. Besides visiting the Nicol David International Squash Centre and eating at the night markets what else is a must do for travellers visiting Penang? It depends what the person’s interest are. We do have a nice heritage area with small cafes, street/mural paintings for those who like art. We also have a nightlife area for those who like that. But for me personally I like spending my time on the beach, having coffee with friends watching the sunset. It was really warm in the Squash Centre when I visited. Is it challenging when you go to a tournament and play on colder courts? How do you adjust? I normally go to tournaments at least 3 days prior to my first match to get used to the conditions but coming from Penang, playing in colder places are actually less taxing on the physical side. I think it is harder for those who train in the cold and having to play in the heat. Of course there will be some adjustments such as how high and how hard to hit the ball but that all can be adjusted in a number of days. It was pretty scary being a taxi in Penang yet somehow I didn't witness a single accident! I have to ask. Do you own a scooter? No I do not own a scooter and I don’t have a bike license either. I only have a driving license. My coach owns a scooter and he uses it pretty frequently because traffic can get quite heavy especially during the holiday season. Do you have any idea what you want to do after your squash career? Since I was out injured, I used that time to set up my own company and website www.weewernlow.com. It is a website that aims to solve a problem of disconnect between my fans and sponsors. On top of that I want to challenge and change the current sports endorsements legacy system. This website is for me to lead by example and educate sponsors of my value worth and why they should endorse me. The typical events appearance, face on billboards and print ads, always seem to be lacking because I could never justify to them my value. Now with this website I could show them why it is worth in endorsing me and mainly help them justify their ROI in me. Not to mention as I grow my fans, imagine the potential value I could create to my sponsors! And for my fans, a reward system that gives back to them for every share or post they make is something I could never do before. There’s also an extension of an online shop where my fans can purchase items/goods that I endorse at a special rate using the points they earn. This is a proven return on investment and a win-win situation between sponsors and fans. Eventually I will want to help other athletes secure endorsements under my very own management company. Thanks so much to Wee Wern Low for agreeing to this interview and giving such insightful answers. She's an amazing role model for so many of us players, fans and coaches. From reading her responses you can truly feel the passion she has for squash and for becoming the very best she can be. It's also refreshing to hear her tell the story of choosing what was right for her and finding her own unique path for success. She gives a lot of credit to her team and it must be a pleasure to work with such a wonderful human being. Go Wee Wern Low! Sounds like a really great athlete! Very interesting to read the interview.